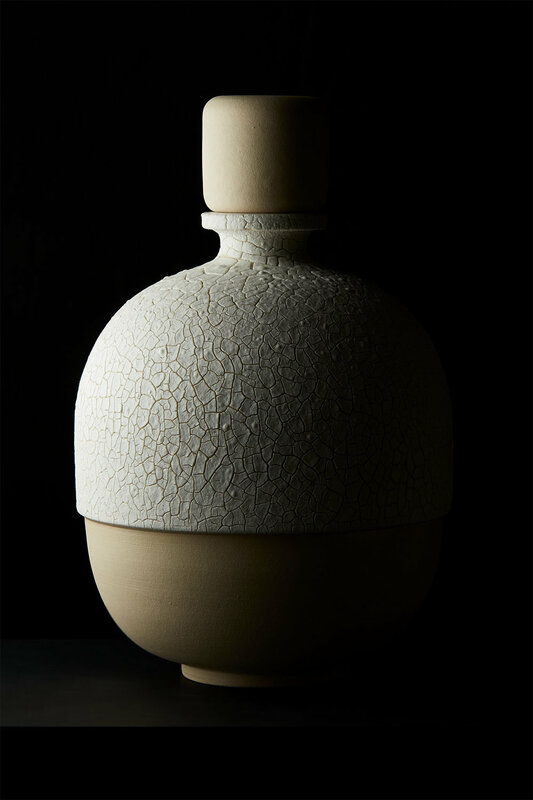 The cracked ceramic bottle designed by designer Josefina Muñoz and handmade by ceramist Peter Fink, is the most recent work in three years of collaboration. The cracked ceramic bottle designed by Josefina Muñoz and handmade by ceramist Peter Fink, harbours Floraïku's Water and Sky perfume oil. A captivating addition Harrods' curated edit of Rare Finds. This exceptional ceramic vase is available in ten limited edition pieces worldwide.